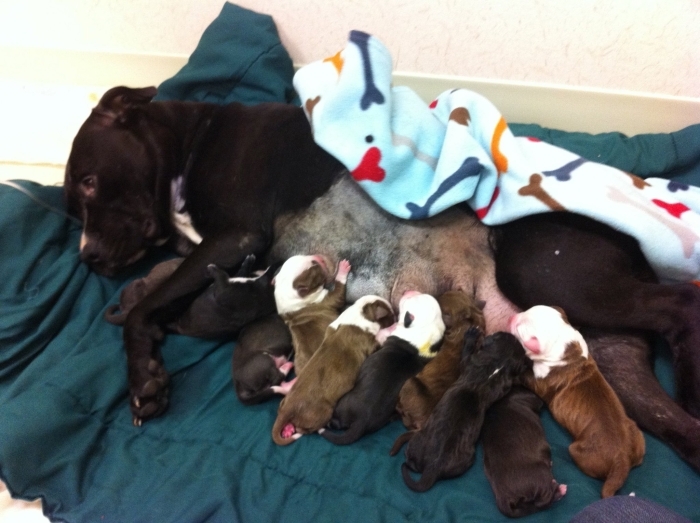 SCAS Mom, Dixie and her 15 pups. She was a champ but the new family needed emergency care overnight. FriendsofSCAS stepped up to help.